Garage doors often serve as the main entry in and out of the house. They are large, heavy and have a number of moving parts that can wear out and break over time. Keeping rollers lubricated and some other tasks can be done by you, and will be stated in the owner's manual. However, when a major component fails, such as springs, cables, and brackets, you should always call a garage door professional to make the repair. Many of these components are under extreme tension and can result in serious injury if work is performed inorrectly. We service residential and commercial garage doors and operators. 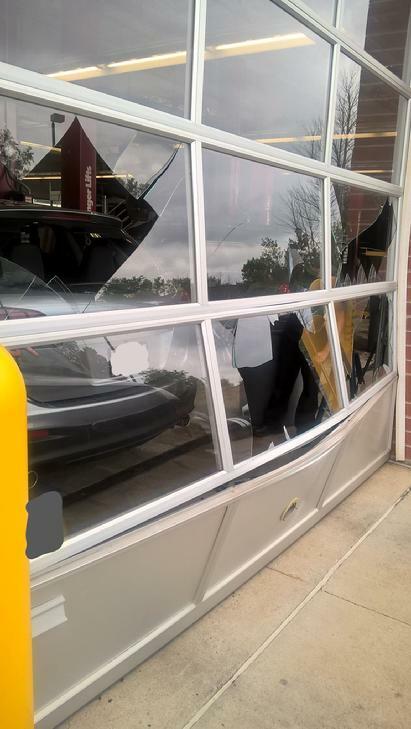 Everything from a broken roller to a door that a car drove through, we can handle it. Is the door extremely heavy, or is the operator only lifting it a few inches and then pausing? This is most often caused by a broken spring. Is the door sitting crooked? You could have a broken cable, or it could have been knocked off its drum. Lowering the door while there is an obstruction such as a garbage can or a broom stick in the way can cause a cable to fall off. These cables are under extreme tension and should be repaired by a professional. Broken hinges, brackets and rollers can cause the door to make unusual noises, behave erratically, or stop working altogether. Some of these parts (especialy the bottom brackets) are under extreme tension and should be repaired by a professional. There are many other problems that can cause your garage door to not function properly. If you feel there is a problem, give us a call! Is your garage leaning? When this happens it can cause the garage door to not function properly. The door tracks must be properly aligned for the door to operate. A leaning garage certainly isn't going to get better with time, and will likely cause much bigger problems later if left alone. 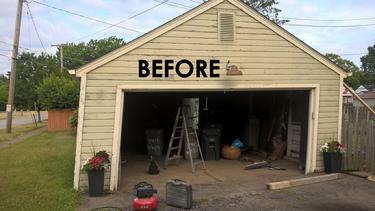 Not all garages can be safely straighted due to construction styles or excessive rotten wood in the structure. 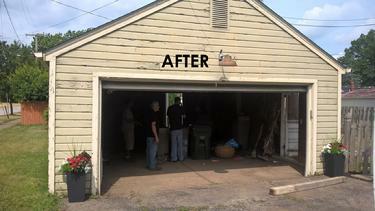 If you have a leaning garage, give us a call and we will come check it out and give you a free estimate!